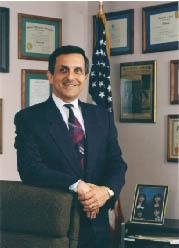 In the Fall of 1991, Robert Namer began moderating his conservative talk program, "The Voice of America". Namer has a unique down-to-earth style of delivery, yet is so explosive in its candor that it has been dubbed "HOTTALK". There is no individual or issue that is sacred from discussion and exposure to Namer's quick insight and sharp tongue. Namer delivers a loyal base of active listeners. If you seemed amazed from a comment regarding an issue, you will be stunned again in a few minutes by another Namer explanation of the news and his commentary. There is never a boring minute and the only predictability of his show's content is that it is not predictable as to the subject matter or quest. Robert Namer is Mr. HOTTALK!! !